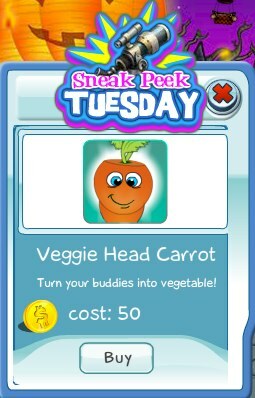 This week's Sneak Peek Tuesday item is the Veggie Head Carrot spell. 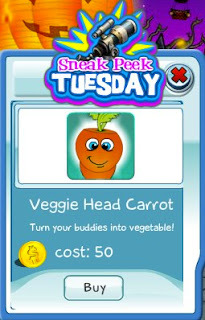 Cast a spell on your buddies and turn them into an giant orange carrot! Get this item today before the limited sneak peek ends.